TL:DR: Sensors, connectivity and analytics are three key elements of IoT deployments. Mr Eric Yeo of SP Telecom shares how organisations can leverage shared connectivity infrastructure, security and edge computing to implement IoT solutions. Believe it or not, there are now more connected devices chatting on the internet than there are humans on Earth. The Internet of Things (IoT), first described in 1999, has seen a steady rollout in the past two decades and is now a multibillion-dollar market. By allowing data to be collected, shared and analysed for insights, IoT promises to revolutionise everything from manufacturing to smart cities. Critical to the successful deployment of an IoT strategy are sensors, connectivity infrastructure and analytics, said Mr Eric Yeo, Assistant Director, Business Development at SP Telecom, at the IoT Asia Conference held from 27-28 March 2019. “The sensors dictate the quality of the analytics, but you also need connectivity infrastructure so that the data collected by the sensors can be easily transferred,” he added. 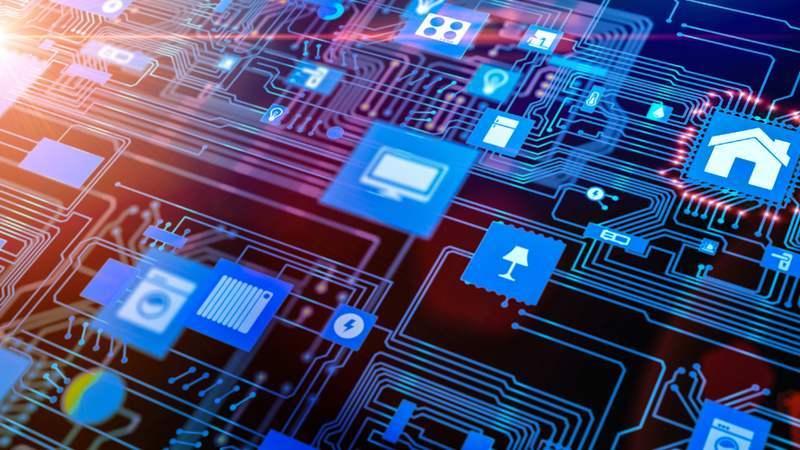 Most organisations seeking to deploy an IoT solution tend to prefer to control the full works—they want to use their own sensors, build and maintain their own connectivity infrastructure and develop their own analytics workflows. In Mr Yeo’s opinion, this is not the most efficient way of going about IoT deployments. “We should be thinking about which aspects of the IoT pipeline can be shared,” he emphasised, alluding to a platform-as-a-service approach to IoT. While sensors are important for data collection, they are relatively inexpensive, hence there is little incentive to share them between organisations, said Mr Yeo. Furthermore, each organisation is likely to require its own unique set of sensors for its IoT strategy, so a sharing model may not work. “Now, if we zoom into actionable analytics, is this something that organisations would want to share? Analytics is typically where organisations differentiate themselves. While you can share and publish the results of the analysis, the technique by which you derive the result is not something you will want to share,” he explained. That leaves the connectivity infrastructure, which is required by virtually every IoT application. “Infrastructure is one of the heftiest costs when it comes to deployment, and these are areas that we should look at sharing,” noted Mr Yeo, adding that this is why SP Telecom is encouraging businesses to tap on its pervasive fibre network and managed services to accelerate the implementation of IoT strategies. “Ultimately, it is the data that is most important; it is the data that you can monetise, not so much on the building and maintenance of gateways and networks,” he said. 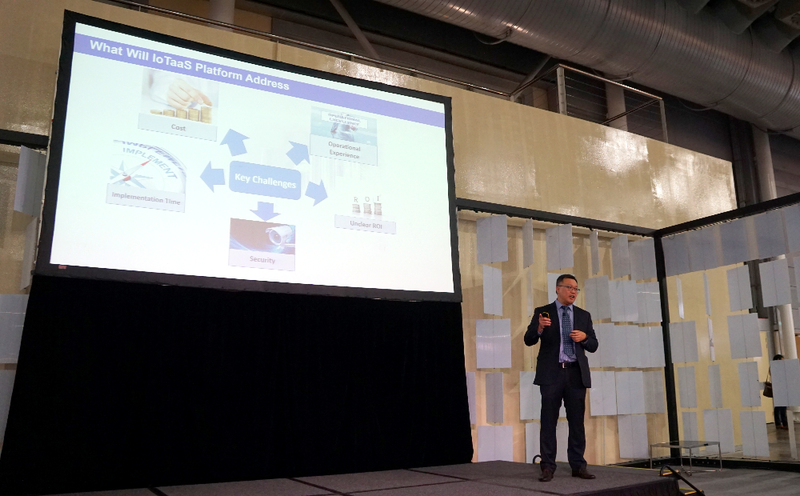 Besides new and alternative ‘IoT-as-a-service’ business models, Mr Yeo also highlighted another emerging trend in the IoT arena—the rising demand for edge computing. “I wouldn’t say that edge computing is really a future trend because it’s already here,” he quipped. Typically, sensors transmit all their data to a centralised cloud database that may be located far away from the data source. This can result in noticeable latency issues, whereby depending on the strength and reliability of the available network, there may be delays in data transmission and analysis. Being able to store and process data close to where it is collected—the edge, to use industry parlance—is therefore an advantage when implementing IoT solutions, said Mr Yeo. Nonetheless, there are pros and cons when it comes to the security aspects of edge computing. Unlike cloud computing, the decentralised nature of edge computing makes it less vulnerable to Distributed Denial of Service (DDoS) attacks. The modular nature of edge computing resources also makes it possible to implement measures to isolate a cybersecurity incident should it occur. Here, Mr Yeo reiterated the strategy of an ‘as-a-service’ model for cybersecurity at the edge to reduce upfront costs of IoT deployments.